Cozy clothing is one of the best parts of fall, amiright?! Sweaters, scarves, hats and all the hot drinks. I still like when it's cold enough for a sweater like this off the shoulder number, but I don't have to start layering it with a coat, vest, parka, etc just yet. 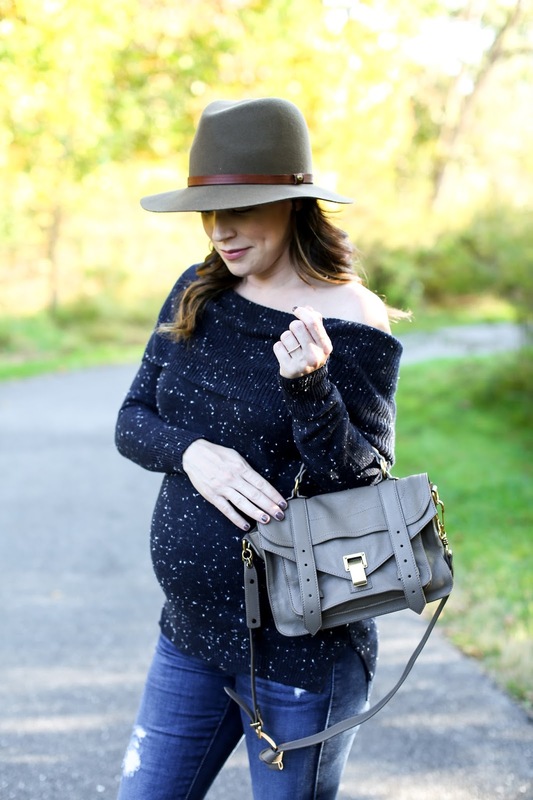 I have mentioned a few times here and there, but Loft has truly been one of my favorite places to shop at during my pregnancy (remember this post, this post, this post and this post) . I've worn quite a few of their pieces these past few months and always manage to purchase them during their amazing sales. I think it's the fact that they offer petite sizing and the cut of the clothing seems to work with my bump without me needing to size up. It's actually quite remarkable because I know all of the things I've purchased can work after my pregnancy as well. In addition to Loft, my two other favorite places to shop have been Old Navy (loved these shorts the whole summer and lived in these dresses from this post and this post) and GAP (still loving and wearing this dress, this one, and loved the cardigans I've shown on Instagram). 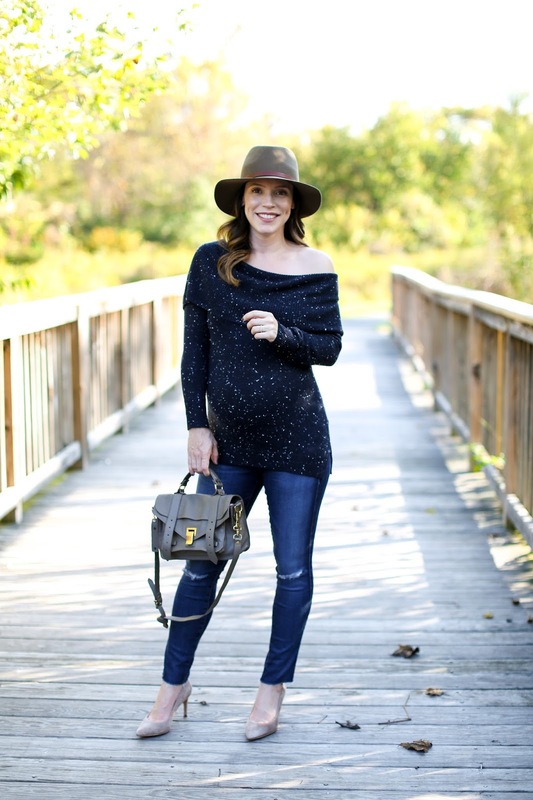 Both places have such great sales so I'm not breaking the bank with ordering pieces that may only work during pregnancy (but to be honest, I only have less than 3 or 4 items that fall into that category from them). And both retailers offer maternity options as well so I can often mix and match during my shopping trip. Obviously I've shopped at other places these past 9 months but as I look back those three have definitely been my standout favorites.